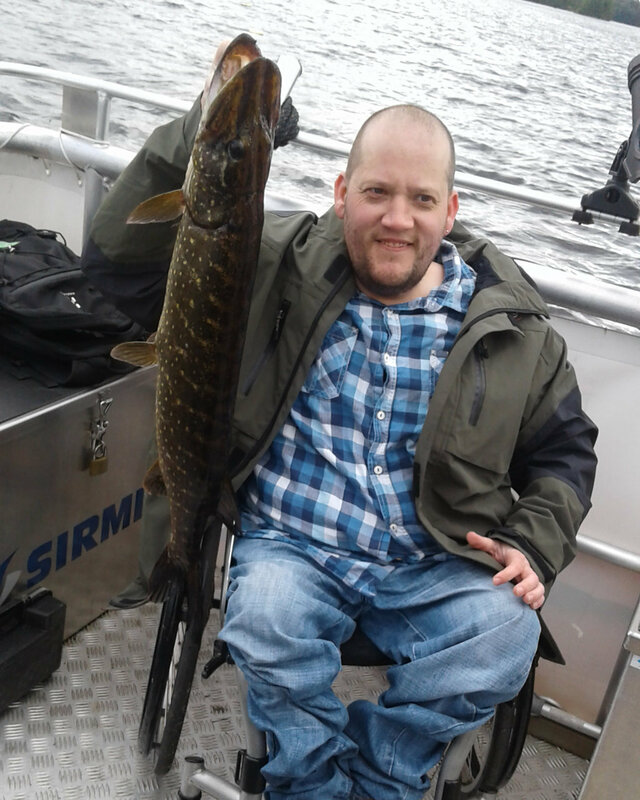 Enjoy with us a 4h accessible and guided fishing trip at Lake Kyyvesi and we guarantee a memorable catch. 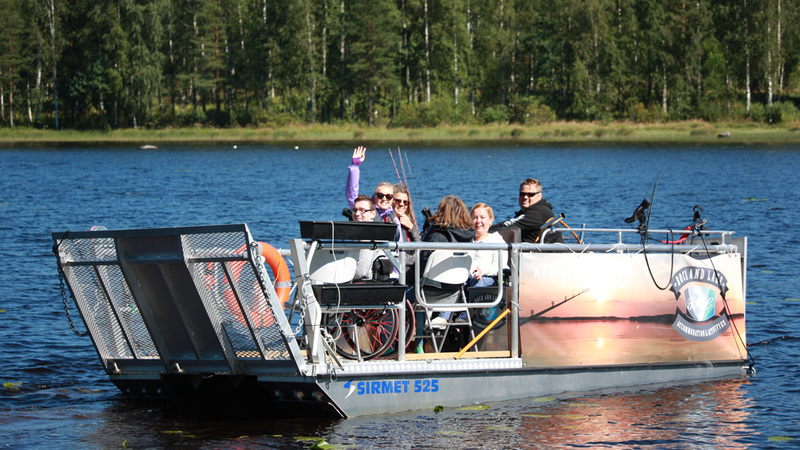 Our relaxed but professional guide will teach you to go deeper in fishing at fishy Lake Kyyvesi. 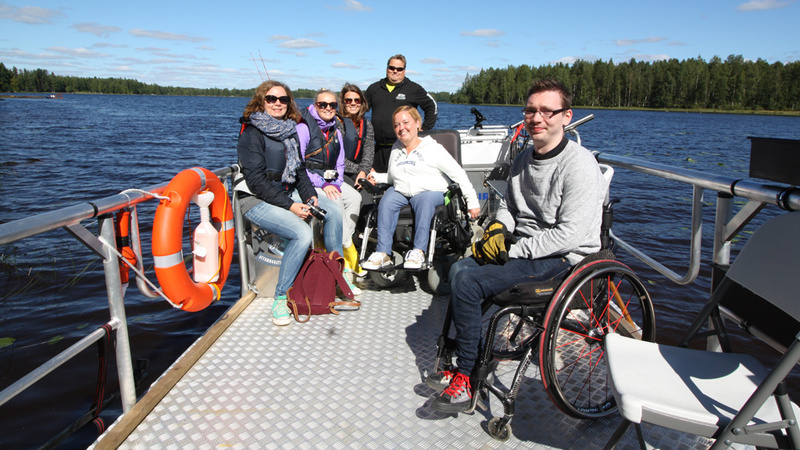 The boat is accessible and very stable thanks to its even base. Two persons with wheelchairs fits at the same time. Besides that our guides will support you as much as you need. On the trip we are focused on catching pike and zander. Kyyvesi is famous for strong populations of both. You can choose from, or try everyone of, three different fishing styles spin fishing, jigging or normal trolling. 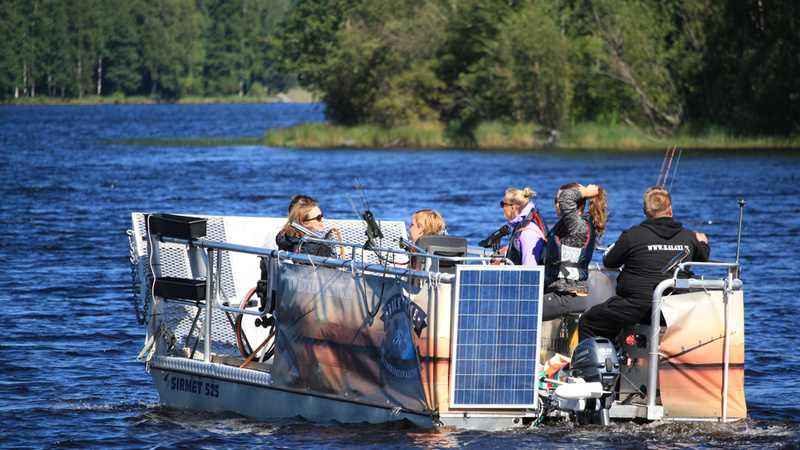 Normal trolling using planerboards is focused on searching fishes from the wider areas and from differrent depth layers. With state of the art equipment we are also able to go deeper in visually. We normally use 6 rods and handmade Tunkkionki lures, which - guaranteed by he guide - brings the best result for a memorable trip! Spin fishing means searching for pike near the coast or rocks and is effective at any time of the summer. Jigging or jigbait fishing has strongly increased its popularity. Light weight fishing equipment guarantee that the bites will be memorable! Starting place: Luusniemi, Itäkyläntien 463 Kangasniemi. Fishing place is Lake Kyyvesi. Lenght: 4 hours, start 9 a.m. Accessibility: Yes, space for two wheelchairs on the boat. Price: 490 € / group. Well-equipped boat and lots of fishing gears are part of the price. The starting time for the trip can be changed if needed. Ask tailored offer for your group from our sales services: call +35850 566 0905 or send e-mail sales@rockandlake.com.